I realize I’m late to the scene on this, but I’m happy to report the ultimate life hack lives up to its name. That’s right, hash browns in the waffle iron. No added oil for frying. Worried about shredded potato sticking, but it was no problemo at all. Not hungry for next meal. In an attempt to be healthy this weekend, I opted for sweet potatoes, which I shredded in the food processor. Mix with three eggs, some salt and pepper and crush those suckers up! 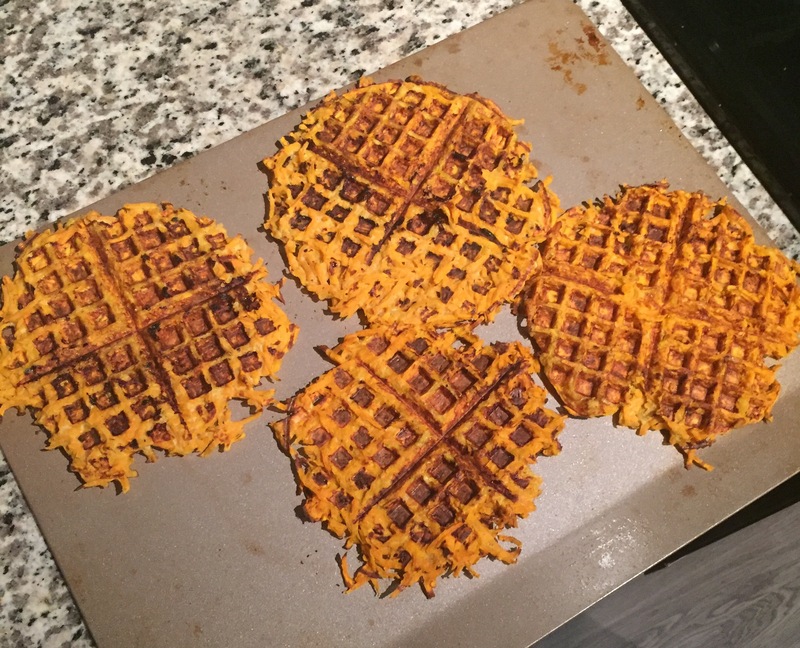 These take maybe five minutes a waffle because of all the steam radiating out of the potatoes. Heat your oven to 200F and stick the done ones in there to keep warm. The next day, they’re great cut in quarters and crisped up in the toaster. 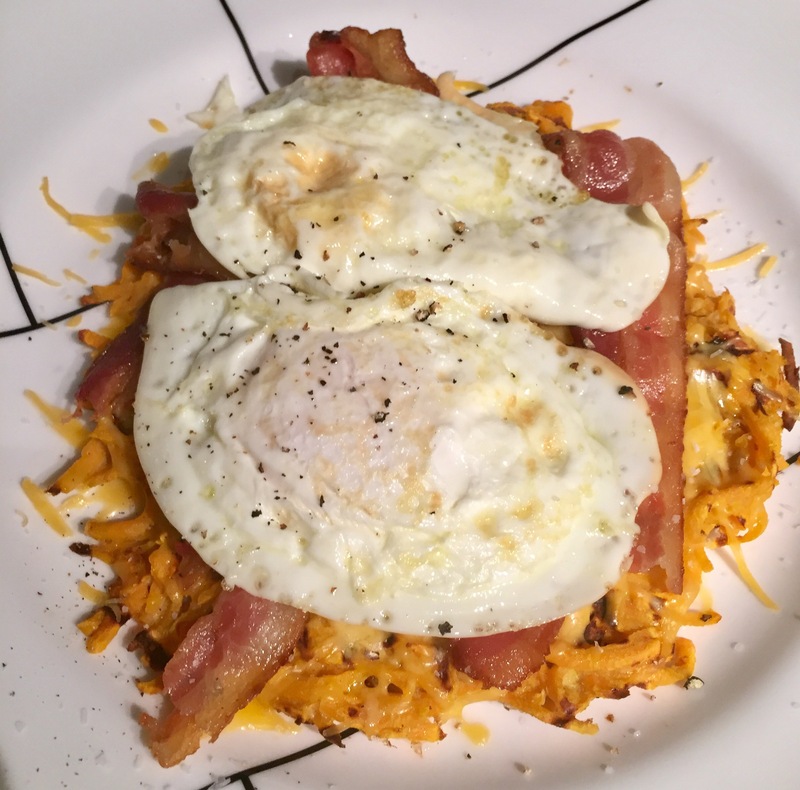 For an impressive looking mess of a breakfast… top with shredded cheddar, some bacon, and a fried egg or two. Share with a friend and prepare to be full for seven hours. Shred sweet potatoes in a food processor and transfer to a mixing bowl. Add in eggs and salt and pepper. Coat potatoes thoroughly and re-stir as needed. Spray a waffle iron with non-fat cooking spray. Heat iron. Spread a layer of potato mixture over bottom half of waffle iron and close the top. 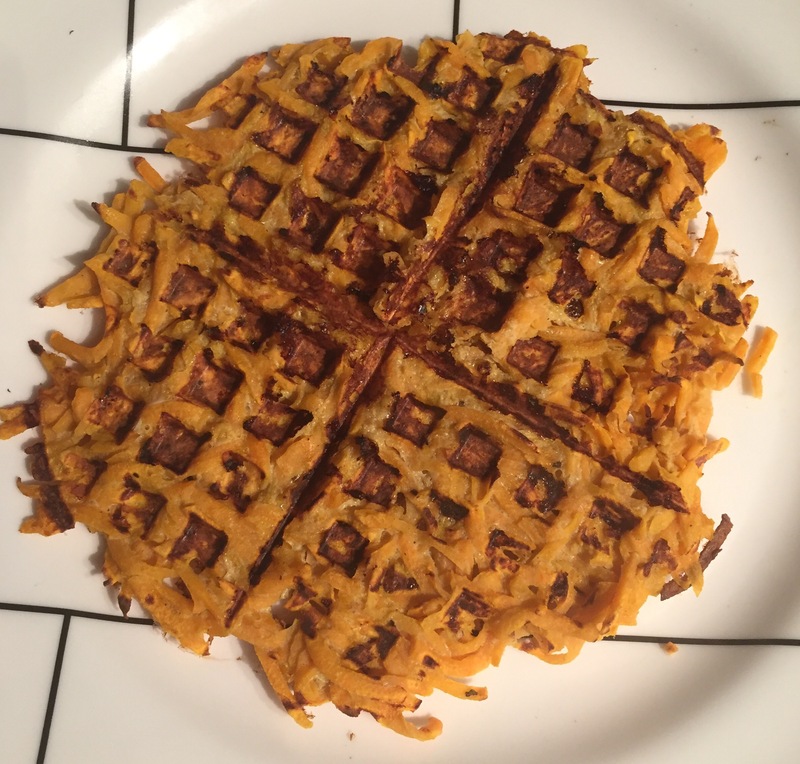 Allow waffle iron to work its magic. There will be steam! Use a butter knife to flip the waffle off of the iron and either serve immediately or keep warm in the oven around 200F. Note: Warm the next day by cutting the waffles in half or quarters and throwing in the toaster. 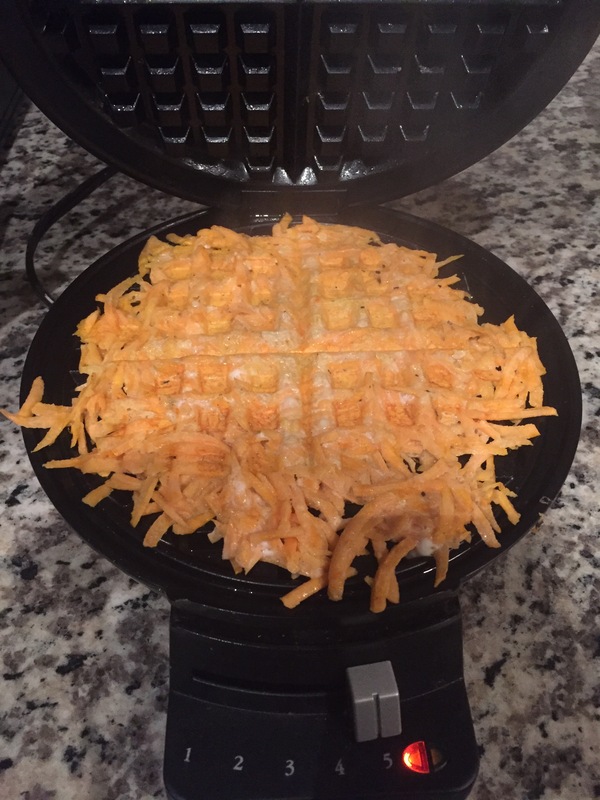 What a great idea using the waffle iron! Can’t wait to try this.